Freshers’ week is commonly a classic mix of alcohol, junk food and lack of sleep; all combined with the stress of living away from home for the first time. This can temporarily weaken your immune system, making you feel ill and lethargic. It is also a time when new people from around the country and around the world come together, bringing viruses and bacteria your body might not be used to. This creates a perfect storm for microbes to spread. Whilst takeaways are tempting when you have a vicious hangover, cooking an easy recipe is a great way to bond with your housemates. You can also split an online supermarket order to make sure fridges are stocked with fresh ingredients: this saves you money and a trip into town. Easily forgotten when everything seems non-stop during freshers, drinking water will help prevent or minimise symptoms of freshers’ flu. Buy a couple of re-usable water bottles (or re-use plastic ones) and keep them in useful places: by your bed, in your bag, anywhere that will be easy for you to remember. You should aim to drink 2-3 litres (or 4-5 pints) of water every day – more if you’re drinking alcohol or coffee, which are both diuretics. Drinking water on nights out also keeps you hydrated and helps prevent a hangover ruining the next day. Glasses of water are always free at the bar, so it’s a good idea to alternate alcoholic drinks with water throughout the night to help avoid a hangover. Paracetamol is one of the best options for pain relief during freshers’ week, as other common painkillers like aspirin and ibuprofen can be irritating to the stomach, particularly when you are feeling a bit fragile to begin with. You can pick it up relatively cheaply at the pharmacy on campus, located next to Subway, just off Alexandra Square. Coping with developing your own independence when you move away from home may not come easily to everyone. Stress can take a toll on your physical health, including reduced immunity to infection, sleepless nights and issues with anxiety. Take some time to research the facilities that are available to help you when you when you start university. For general welfare such as health, housing, flatmates or finances, the College Wellbeing team is an excellent resource for guidance. To access university counselling services, you can complete a self-referral form. Knowing when to ask for help is essential to having an enjoyable and productive experience at university. It may even be as simple as a phone call home to hear a familiar, reassuring voice. As mentioned, the first few weeks at University can be a breeding ground for microbes due to the crowds of new people. Prevent yourself from getting into contact with infectious bacteria and viruses by regularly using antibacterial hand gel, and keeping your bedroom, bathroom and kitchen environments clean. Staying on top of the washing up and tidying up after pre-drinks can also help prevent bacteria from harbouring in your flat. Whilst it might seem non-stop during freshers’ week, remember that you don’t have to do everything all at once. Make sure that you have at least a few good nights’ sleep and de-stress during the first week – your body will thank you for it. 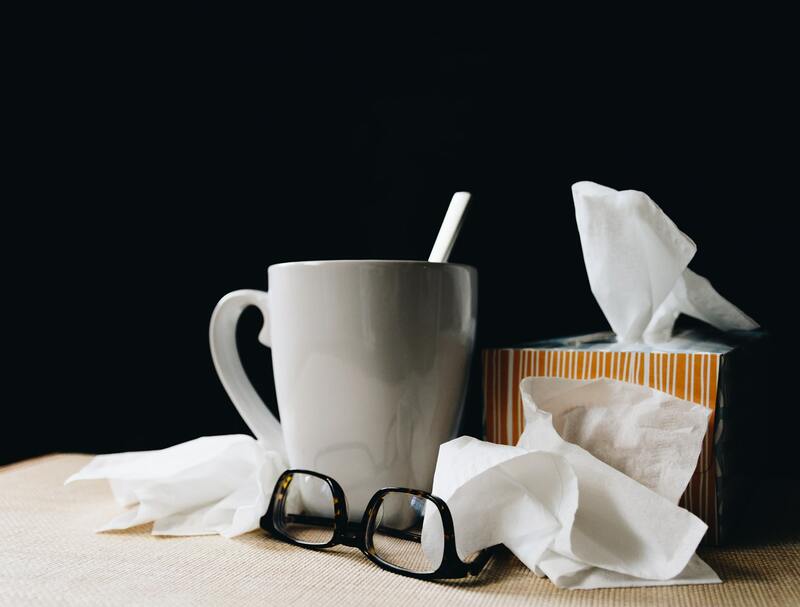 Many symptoms of freshers’ flu can also indicate more severe problems, such as meningitis. If you experience severe headaches and a fever, sensitivity to light and rashes on your body, you should call 111 for further advice as it may be something much more serious. You should also make an urgent appointment with your GP if you have any cause for concern. (Further information on symptoms of meningitis is available on the Meningitis Research Foundation website.) If you are under 25 and attending university for the first time, you may be eligible for a MenACWY vaccine against bacterial meningitis and septicaemia. It’s important that you take this opportunity as meningitis acts quickly and can be deadly. Before you start term, Lancaster University strongly advises signing up to Lancaster Medical Practice as your main GP service if you live on campus, in Lancaster or in Morecambe during term time. You can do this by picking up a form at Bailrigg Health Centre on campus, or registering online. International students on a Tier 4 student visa are also able to fully access NHS services in the same way as a permanent UK resident. Previous articleSun’s Out, Bun’s Out!